Another week has already flown by! I can hardly believe that it is November. It was a fairly busy week with a few sleepless nights and one killer migraine. Ick. I am feeling better today and hope that this will hold out for the next few days. I have a big work project coming up and I need to be at my best for the next few days. 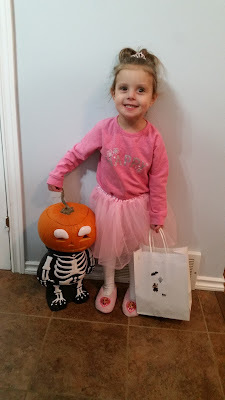 I am linking up with Becky, Tif, Katie, and Della to share 5 highlights from my week. Make sure to check them out and all the other great bloggers linking up for H54F! 1.) I had 5 (!) wonderful days off from work. It was very much needed. I spent time catching up on housework, sleeping, and getting ready for the coming week. My brother and his girlfriend moved over the weekend and we stopped by for a quick visit and a housewarming gift. I was no help at all with the move because of my bump, so I figured I should at least bring them some goodies. 2.) On Monday I had a good visit with my best friend from school. Our kids played fairly well together and it was nice to catch up with her! 3.) Tuesday was Halloween. It snowed all day long. It was super pretty, but it put me in the mood for Christmas, not Halloween! Ha ha! Miss. E and I went out and built a snowman and enjoyed the snow. We were still outside when the trick-or-treaters began to arrive! Miss. 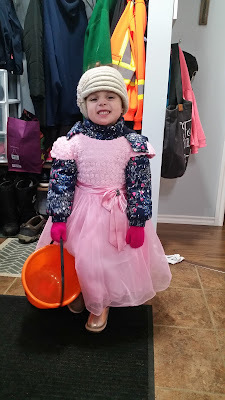 E enjoyed handing out candy with me and trick-or-treating with her Dad. 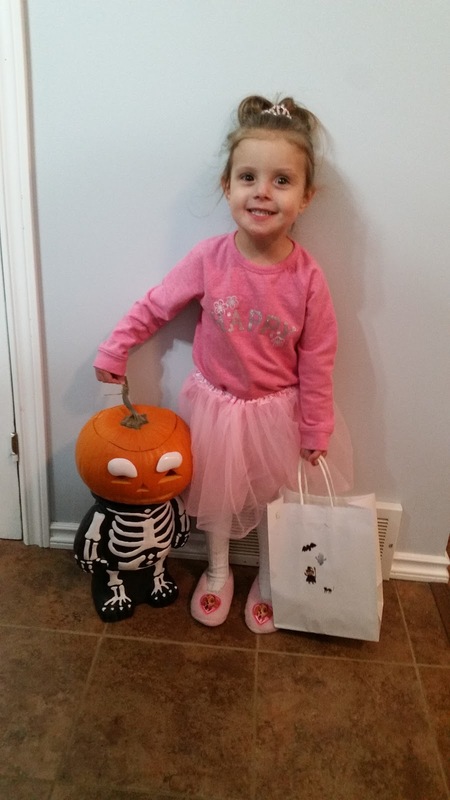 It took convincing to get her in a 'costume'. Inside the house she was a ballerina (thanks to her play clothes) and when she went out she was a princess. It can be hard to get a costume over a snowsuit, but we did our best. 4.) This week has been quite productive at work and I am hoping that today is the same! My work project ends Monday. I hope I can relax a little after that. 5.) I have made my freezer meal grocery list for when the baby comes. I have all of my meal prep days planned. It makes me feel better to know that a plan is in place so that we will have some meals on hand after the baby comes! Migraines are the worst. Glad to hear you are feeling better! We are so blessed - our church brought us meals for a few days after my littlest farmer was born. It was such a load off of me! That's awesome that you have a plan, that will be one less thing to worry on! Happy Weekend! That is wonderful of your church! That really does make such a difference. 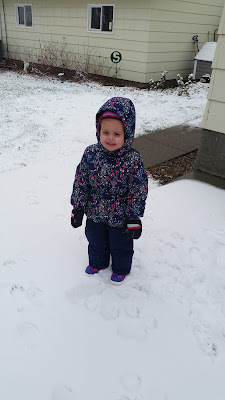 I can't believe you guys had snow on for Halloween! It's only snowed here on Halloween once that I can remember, but that was only an inch or so. I always hated having to wear turtlenecks and leggings under my costumes. It always ruined the "look" I was going for, haha! Hope you guys have a great weekend! I have worn many a snowsuit on Halloween. Ha ha. I was especially annoyed the year I was Princess Jasmine and no one could see my costume!